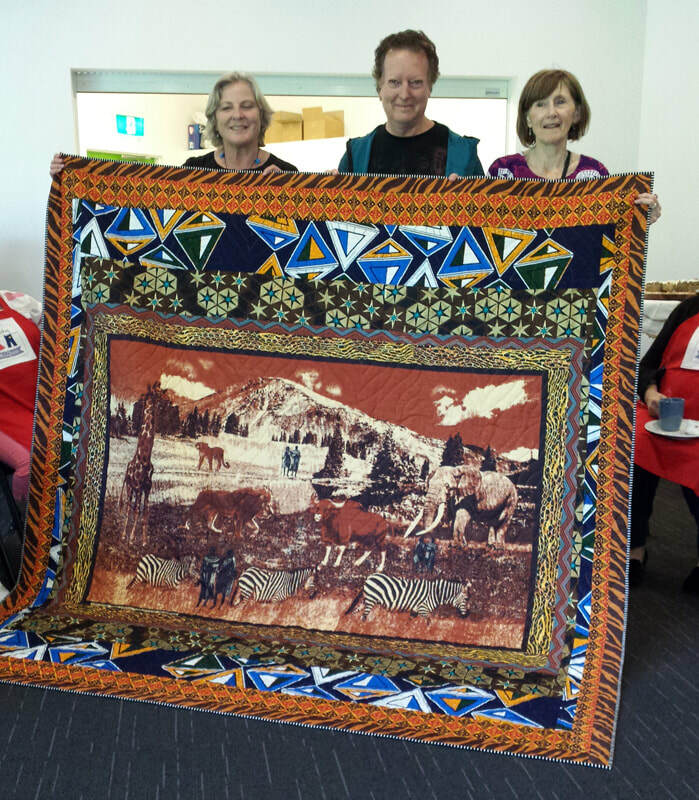 African inspired quilt raffle raising funds for Woven Craft Group who make Days for Girls sanitary kits for girls in the third world. 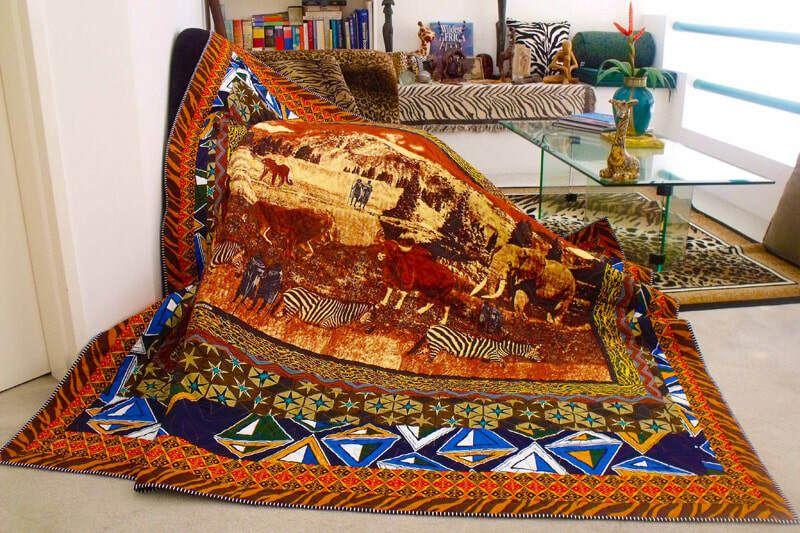 Australia’s longest practising male quilt designer, Alan R Tremain, has created a raffle quilt using African design fabrics. This quilt has been custom quilted by Sharon French of Morning Star Quilting - www.morningstarquilting.com.au. The raffle tickets are on sale at Erina Fair Shopping Centre (opposite Woolworths) on Saturday 17 June 2017, Friday 18 August 2017, Friday 20 October 2017 and Friday 15 December 2017 or contact Tina Latham (see below). Every girl and woman has inherent worth and dignity. Days for Girls celebrates this by providing sustainable feminine hygiene solutions and health education. When girls and women have health, education, and opportunity, communities and our world are stronger. Days for Girls is changing the status quo, through providing lasting hygiene solutions, health education, and income-generation opportunity. Thus far women and girls in over 100 countries have been reached. The target is to reach 1 million women and girls by the end of 2017. Days for Girls Avoca Beach & Woven Craft with a Cause held an African High Tea party on Saturday 24 June 2017 to raise funds to support the making of Days for Girls menstrual hygiene kits for distribution to girls and women from disadvantaged communities and Global Kids Clothes who make and distribute children's clothing to Africa and many other countries around the world. For further details, please telephone Tina Latham 0438 661 677 or email tinal@daysforgirls.org. The 2017 Africa Quilt Raffle was won by a young couple with a family and they are expecting another child at any time – full details will be available next month! The funds raised $1,385 enabled Days for Girls to purchase 1,600 pairs of girl’s knickers used to make 800 kits – enough for the year ahead. They are looking forward to receiving their next quilt with accompanying 2nd and 3rd prizes. Tickets in the 2018 quilt should be available from Days for Girls in February 2018. Quilt handover on 11 May 2017 by Alan R Tremain to Days for Girls Avoca Beach Team: Kim Fitzpatrick (left) and Tina Latham (right).